Album Review Round-Up | Ranting About Music! Hey all. So, I try to get new music every week for an album review. Most weeks, the review ends up being written, but some weeks, for whatever reason (oh hi, full time student, part time worker) it doesn’t get reviewed. So I figured today I’d jot down mini-reviews to sort of “catch up”. Lil Wayne and Drake keep posting themselves as rap’s Dynamic Duo, but honestly, I’d give the title to Jay-Z and Kanye West any day. Collaborating on and off across the past ten years (West’s first major mainstream exposure was producing on Jay-Z’s The Blueprint), Watch the Throne is the pair’s first effort on even footing. The two work so well together because they tease out each other’s better qualities: Jay-Z’s presence keeps Kanye from getting too in his own head, and in front Kanye’s grand scale yet excited production, Jay-Z breaks out some of his finest rapping in years. The duo rap about, of course, how great they are, but “New Day” (written to sons the two don’t have) and the social commentary of “Murder to Excellence” add depth to the project’s gold plated excellence. It would have been nice to see something a little more challenging from these two, but still, Jay-Z and Kanye put the work in, and the result reaches for the rafters. 4/5. 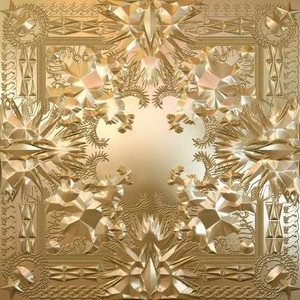 While Watch the Throne found two modern hitmakers in artist mode, Nothing But the Beat shamelessly guns for the charts. That’s not to say that no one’s trying per se, but D.Guetta and crew are only focused on one thing: the club. To Guetta’s credit, he does blend typically clashing genres into his own distinct mix, and these songs don’t suggest dancing as much as command it. By covering everyone in Auto-Tune and vocoders, Guetta strips most of his guest artists of any personality, but shockingly few of them offered any in the first place anyway. Current club pop lunkheads Taio Cruz, Flo Rida, Chris Brown, Akon, and will.i.am pass by without any real differences between them. Meanwhile, Usher, Sia, and (surprise) Jessie J manage to knock out gorgeous tracks while keeping some personality. Each and every song on Nothing But the Beat has craft to it, but as a whole, the album is similar to the point of being oppressive. 2.5/5. 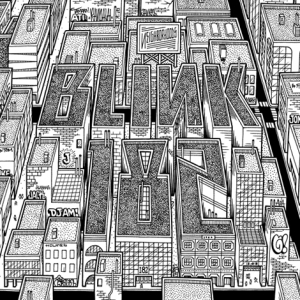 This entry was posted in Album Reviews, Lists and tagged album, blink-182, David Guetta, evanescence, Jay-Z, kanye west, music, Neighbourhoods, Nothing But the Beat, review, watch the throne. Bookmark the permalink.